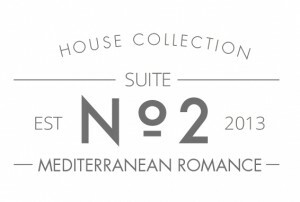 ABOUT: The ‘Mediterranean Romance’ collection captures the essence of the Mediterranean with its combination of rustic charm and dash of glamour. The collection is based on a traditional mosaic tile pattern, taking detail from clean lines and simple flowers. 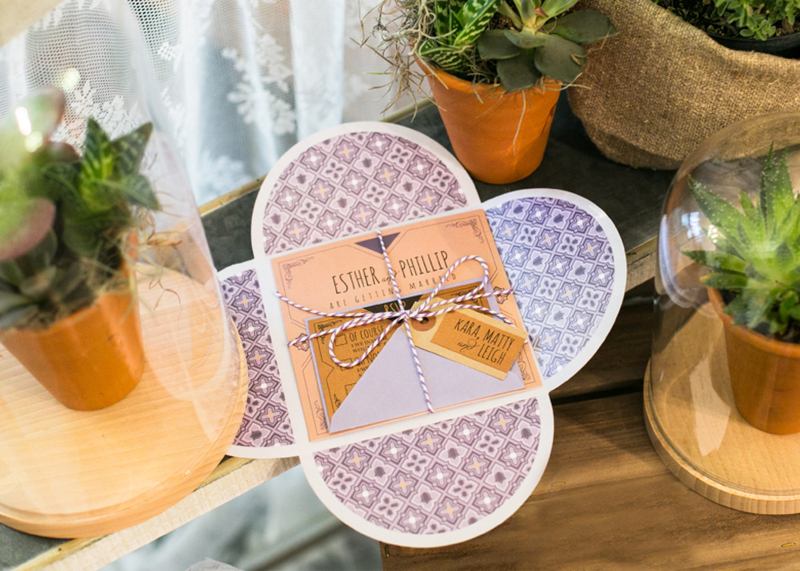 The pattern is used to line the inside of your pouchette envelope and again on the reverse of inserts. 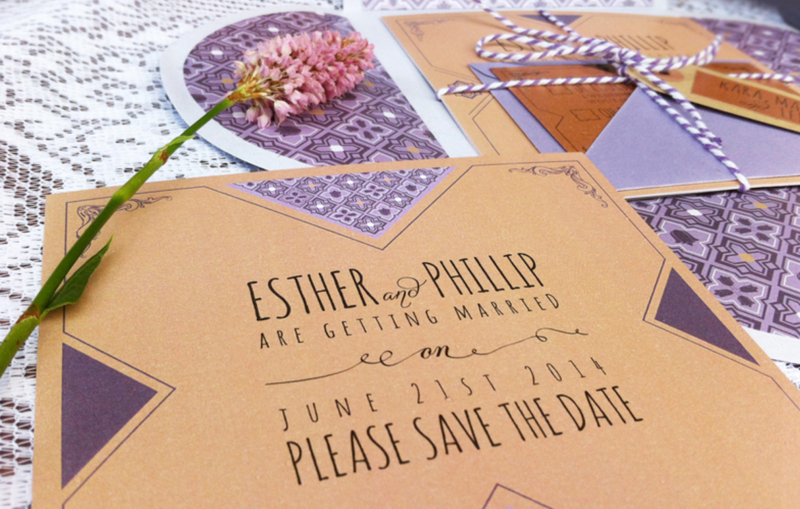 Parts of the pattern are also extracted to create shapes containing your wedding information. 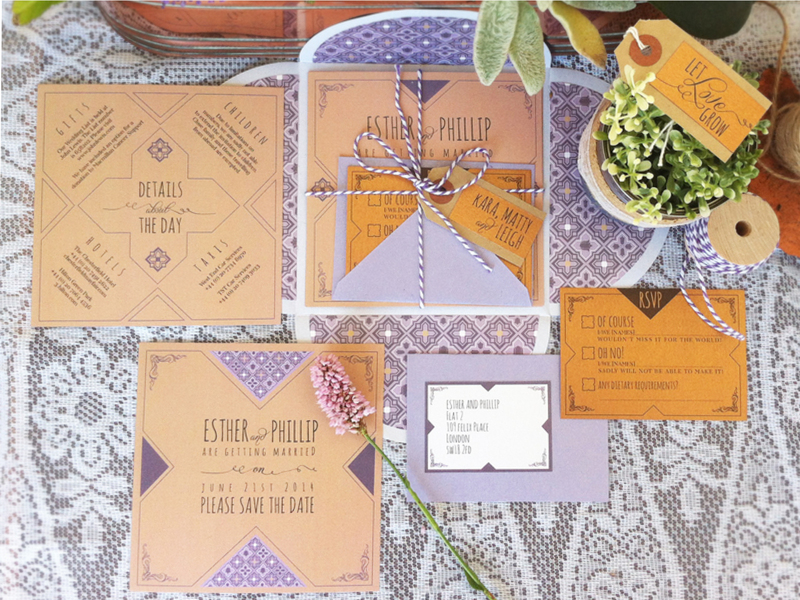 These clean yet rustic invitations are beautifully set off by the terracotta shimmering bronze RSVP’s and name tags, which add a touch of glamour and opulence to the suite. 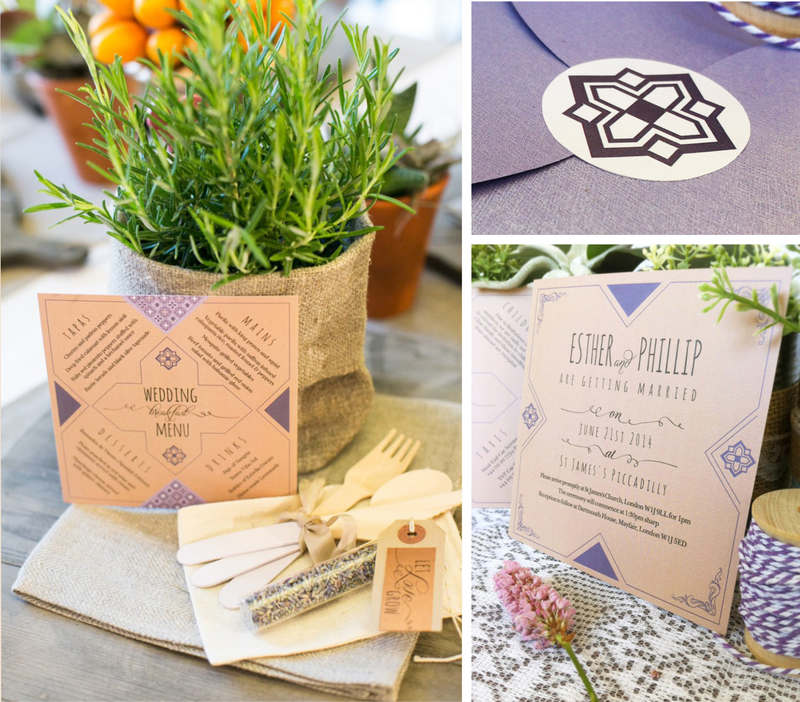 Hints of lavender are used throughout and the invitation pack comes bound with lavender baker’s twine and a matching envelope seal sticker to finish. You can pick and choose the items of stationery you require to suit your needs and budget. 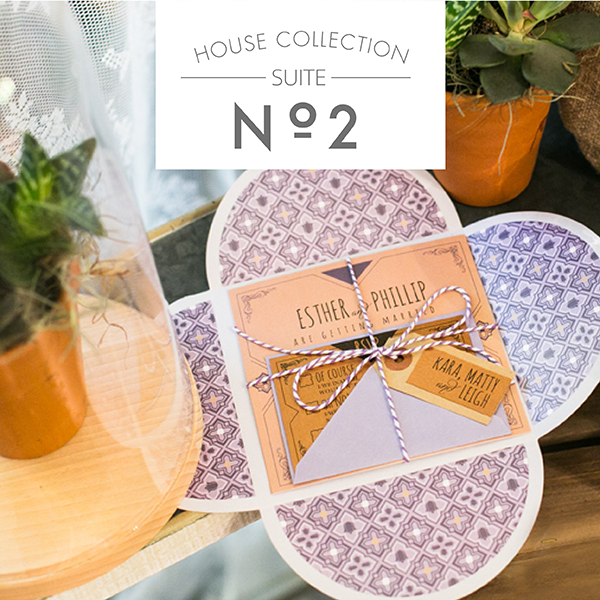 Evening invitations and on-the-day stationery are also available in this suite. 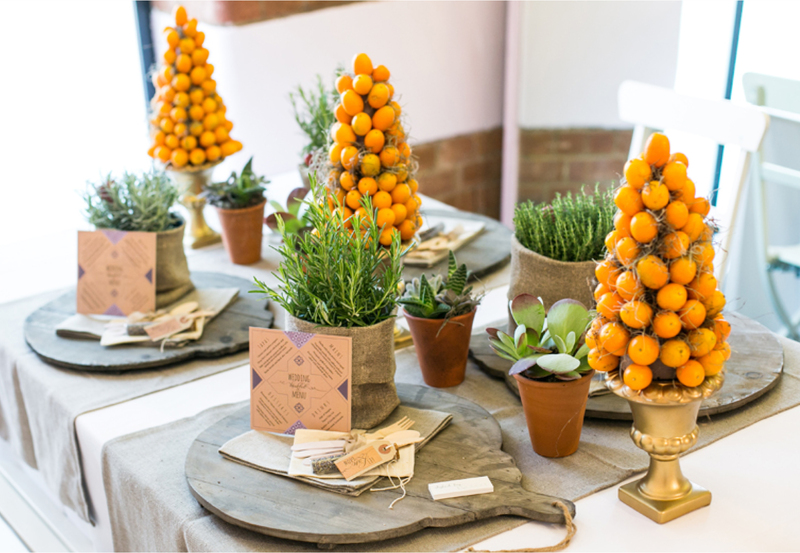 On-the-day items can include anything from the order of service, table names, place names, menus, table plans and so on. Please enquire about any further items not listed.